Although the gap has narrowed between what similarly qualified men and women earn—in2016 women earned 81 cents on the dollar, up from 57 cents in 1975—women still earn $1 million less than men over the course of their careers. A reportpublished by the Georgetown Center on Education and the Workplace found that while women are indeed making inroads toward pay equality, the gap is still broad and difficult to bridge. The research revealed that women have made advancements. For example, more women are choosing majors that lead to high-paying jobs. However, they still tend to choose the lowest paying areas within those fields. So, while more women now study engineering, they disproportionately make up workers entering the lowest-paying area of engineering, environmental engineering, instead of the highest earning area, petroleum engineering. Interestingly, women now receive more bachelor’s and doctoral degrees than men and pursue fields traditionally reserved for men. Nevertheless, they still hold most of the jobs in low-paying fields overall. Even when women do choose high-paying careers such as medicine and business, fewer make it to the most lucrative specialties or the board rooms than their male counterparts. 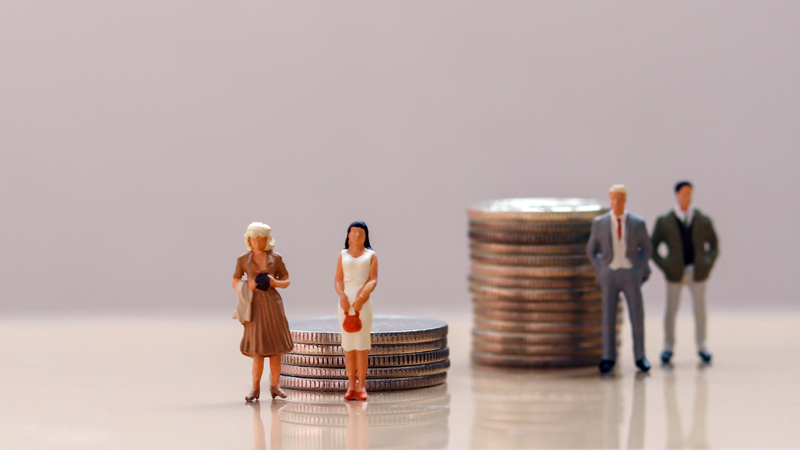 Stereotypes and cultural biases play a big role in the pay gap, the research found. Girls are still steered away from math-related careers, typically the highest-paying occupations. Likewise, traditional notions about women’s roles push them toward occupations such as teaching that center around nurturing. Additionally, women continue to carry the primary burden for childcare, especially when children are young, which takes them out of the game for higher paying jobs. Why do you think many women choose low-paying fields such as education more frequently than higher paying careers? What reasons can you think of that lead to fewer women leading organizations than men? This entry was posted in 3. News You Can Use on September 4, 2018 by bizcombuzz.